The World Jewish Relief Dinner included guests (from left): Henry Grunwald, Dan Rosenfield, Chief Rabbi Mirvis and his wife Valerie, and Linda Rosenblatt. 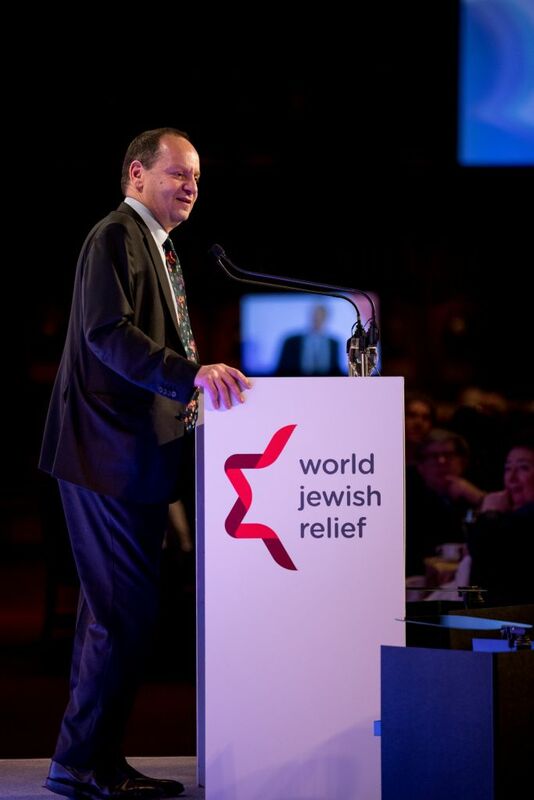 More than £1.2million was raised at World Jewish Relief (WJR)’s annual dinner on Monday, as the charity brought the plight of Ukraine’s community into sharp focus. Keynote speaker at the Guildhall was Philippe Sands QC, who told 500 diners how WJR helped his family escape Nazi Europe in 1938, before speaking about his book, East West Street. 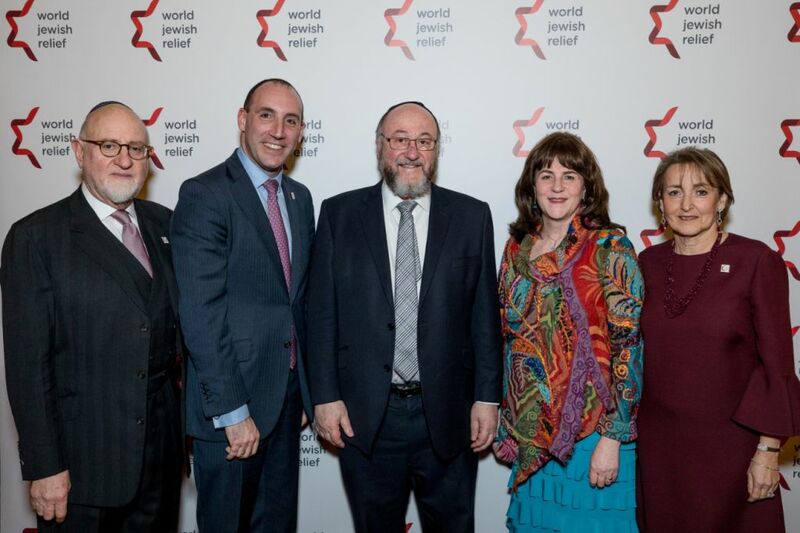 At the dinner, which was attended by Chief Rabbi Ephraim Mirvis and Israeli Ambassador to the UK Mark Regev, and hosted by broadcaster Jacky Klein, guests heard about the charity’s work supporting more than 42,000 people across 19 countries in the past year. Marking 80 years since the Kindertransport, which saved hundreds of Jewish children from the Nazis, and 85 years since the founding of WJR, the organisation honoured longstanding volunteer Harry Heber, who arrived in the UK in 1938 on one of the first transports. He was given the inaugural Outstanding Volunteer Award to mark 20 years of service, dispatching glasses to those in need. His initiative has facilitated the dispatch of nearly 60,000 prescriptions in 15 countries around the world. Funds raised by guests will go towards helping the world’s poorest Jews, including 18,000 older people and more than 3,000 people who suffer from poverty and unemployment. He thanked them “on behalf of the Jewish communities we support in Belarus, Georgia, Moldova and Ukraine”.